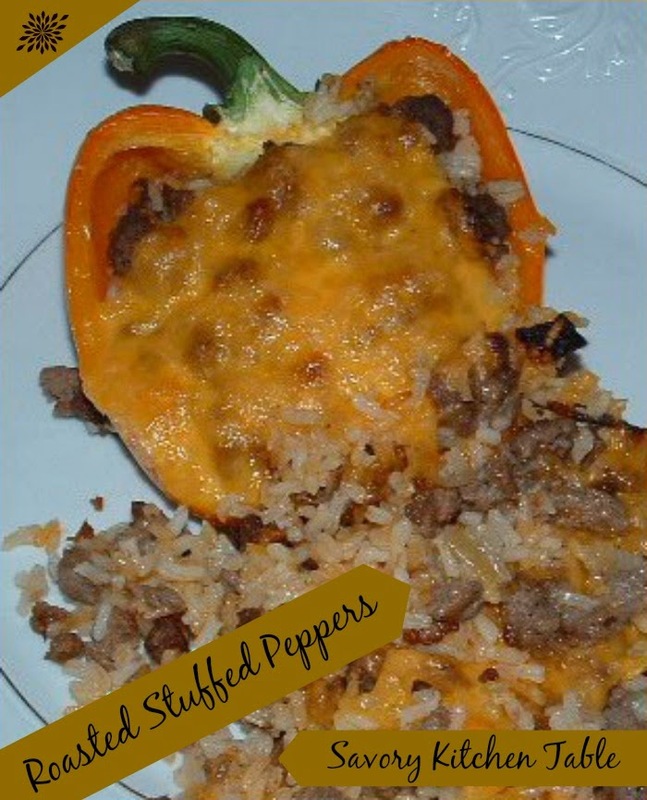 I quit eating stuffed peppers because green peppers just didn’t agree with us anymore. Then I started making them in red or orange peppers and only giving us each a large half – plus they look more attractive to serve in halves. Now we love them again. Add in tomato sauce and rice. Wash, cut in half and clean out pepper. Layer ham slice on inside. Top with cheese slice and sprinkle grated over casserole portion.